Plus the girls she calls her secret life hacks. Trudie Styler: That depends on whether or not Sting is home. When he’s there we have carved out our morning routine and it’s very relaxed. He wakes first, we have breakfast, we go through the papers – The New York Times, the Guardian, the Times. But if I’m on my own I’m straight into work mode, reminding myself of my schedule that and checking my email. TS: Being with creative people gives me energy, finding out what they have to say. TS: Spending a day a week with my lovely granddaughters. It’s like a weekly reset. TS: Moving The Mountain by Li Lu changed my life. Li Lu was a student leader of the Tiananmen Square demonstrations for democracy in China, and his book was the basis for the first documentary I produced in the early 1990s. TS: It’s important to limit screen use before sleeping, so no I don’t have my phone next to me at night – it’s too tempting. It is my constant companion during the day though. TS: If I’m honest, randomly – I jump into the middle of my inbox and work sporadically north and south. Then rely on someone more organised to remind me if I’ve missed something! TS: If I suddenly have some unexpected time in my schedule I love to sit at my bedroom window overlooking Central Park, with something good to eat, and be grateful for the delicious food and the beautiful view. TS: I’m lucky to have a creative and fulfilling job, and so though I might get tired, I don’t really feel burned out. Every project has its lifespan, and that means there’s always a new focus and challenge around the corner. TS: Failure is a state of mind. While I might not succeed in everything I try to achieve, as long as I’ve learned something from the experience, it’s not failure. TS: KAHLIL GIBRAN: “Your children are not your children. They are the sons and daughters of Life’s longing for itself. They come through you but not from you, And though they are with you yet they belong not to you.” I find this a very reassuring quote for any parent. Trudie Styler is an actress, director, film producer, wine producer, organic farmer, environmentalist, human rights activist, and UNICEF Ambassador. Styler has produced many award-winning documentaries and feature films since the mid-1990s. MOVING THE MOUNTAIN, directed by Michael Apted, told the story of the Tiananmen Square democracy movement through the eyes of one of the student leaders, Li Lu, and garnered the International Documentary Association Award in 1994. Styler’s award-winning feature productions include LOCK, STOCK AND TWO SMOKING BARRELS written and directed by Guy Ritchie; MOON directed by Duncan Jones; STILL ALICE starring Julianne Moore; and AMERICAN HONEY written and directed by Andrea Arnold. Her production company, Maven Pictures, has completed ten films in the last seven years, including her own directorial debut, FREAK SHOW which is set for release in January 2018 and stars Alex Lawther, Bette Midler, Larry Pine, Celia Weston and Laverne Cox. As an Ambassador for UNICEF, Trudie has been responsible for raising $5million for their projects all over the world, such as building schools for children who live and work on the dumpsites of Ecuador, providing them with education, regular meals and support for their families. She also initiated a clean water project in Ecuador, partnering the Rainforest Fund with UNICEF Ecuador and the Amazon Defense Fund to build water filtration tanks for rainforest communities whose environment has been catastrophically poisoned by irresponsible oil production methods in the region over a period of forty years. 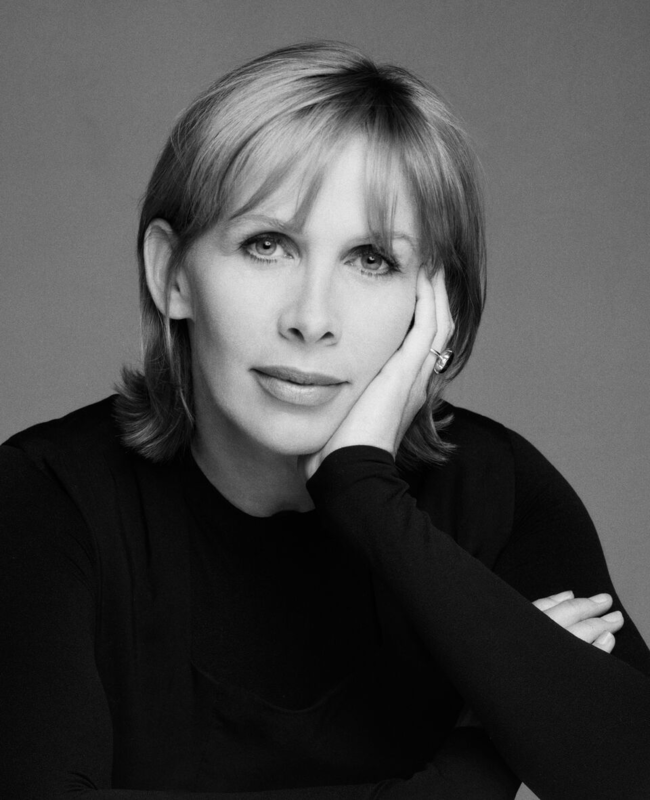 In 1989, along with her husband Sting, Trudie co-founded the Rainforest Foundation (now Rainforest Fund). Initially created to protect the rainforest and its indigenous people in Brazil, the RF now works in 18 countries on 3 continents. Since 1989 Trudie has produced annual and lately biennial concerts at Carnegie Hall, raising over $35 million to date for this increasingly vital cause.